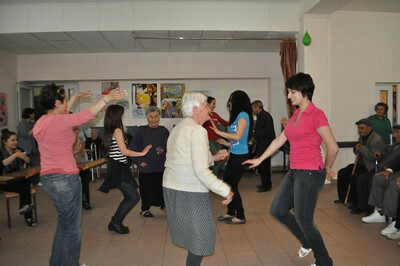 You are here:HomeBlog[FAR Scholarships]: Beneficiaries Pay a Visit to Vanadzor Old Age Home. 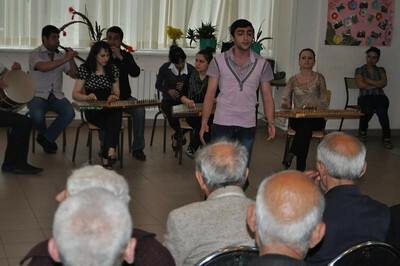 [FAR Scholarships]: Beneficiaries Pay a Visit to Vanadzor Old Age Home. 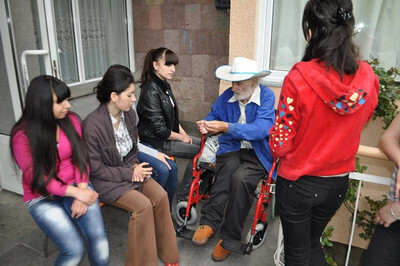 Several of FAR’s scholarship program beneficiaries recently paid a visit to the Vanadzor Old Age Home. * They spent part of the day cleaning, painting, tidying up the grounds, and planting trees and rose bushes. During lunch, beneficiaries conversed with the elderly residents of VOAH. 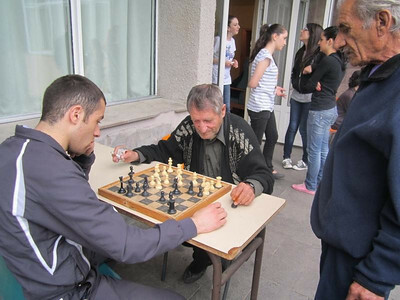 These young people were able to get acquainted with the residents’ life stories. One of the young scholarship recipients who is a certified hairdresser washed, cut and styled the residents’ hair. 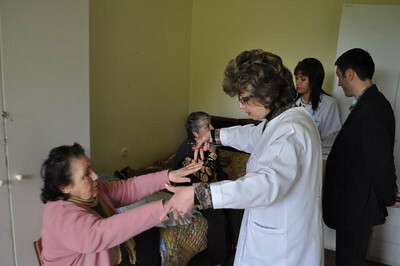 FAR Provincial Doctors Training Program fellows-doctors from Vanadzor performed necessary medical examinations. 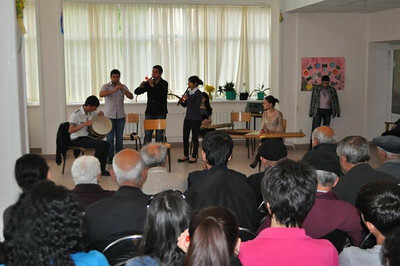 Students from Yerevan’s Komitas State Conservatory and the Cultural Faculty of the Armenian State Pedagogical Institute in Yerevan organized a concert-competition of national songs and dances, as well. 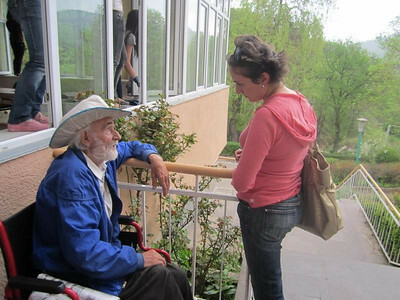 “I am not Armenian, but I moved to Armenia years ago for work,” said resident Nikolay Shaternikov, an immigrant from Russia. “After I left, I learned that my wife married another. My children Angelina and Seryoja stopped writing me letters and I have been out of contact with them ever since. I looked for my children for a long time. All traces were lost, or maybe they didn’t want me to find them. I do not know where I made a mistake. This was years ago. Since then, I’ve settled at this old age home. I hope that one bright day my children Angelina and Seryoja will be my guests here. I am very thankful for my Armenian friends. Their kindness, warmth and care help me, at least temporarily, to forget about the sorrow in the depths of my soul.” Pain turned into tears in Nikolay’s blue eyes as he remembered his children. Naira Hambardzumyan, a second-year master’s student at Yerevan State University’s Department of Journalism, is one of this year’s Ester Ajemian Scholarship Program recipients. *Within the framework of the Fund for Armenian Relief, the sponsorship of VOAH has been carried out by the Kevork and Sirvart Karamanuk Foundation. 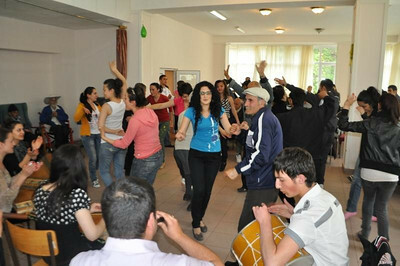 The foundation is also supportive of many active charitable programs in Armenia as well as educational institutions in Turkey. 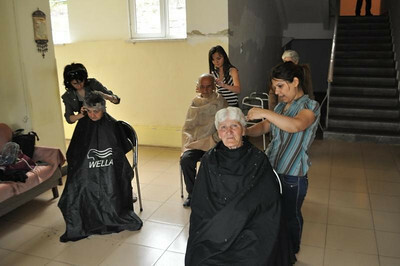 washed, cut and styled the residents’ hair. 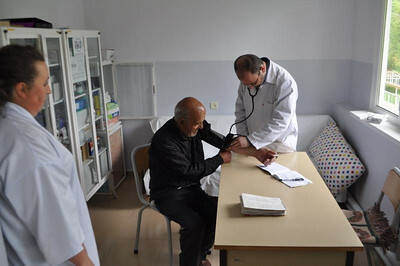 The medical students gave some routine examines to others. 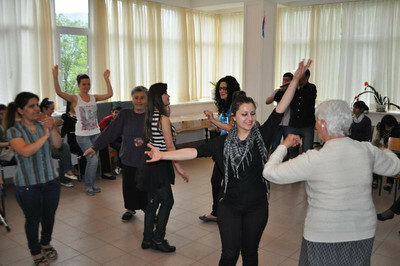 Visitors spent quality time with VOAH’s residents during a recent visit. Students spent part of the day cleaning the grounds at VOAH. Nikolay Shaternikov, an immigrant from Russia, now calls VOAH home.